Mages could use some love so here’s a fun new build; it requires one specific item to work – the Ring of Doubt, one of the 4 Relics of Thedas items added in Patch 10. It is also a lot more powerful if you have the Trespasser DLC (for the Flaming Array Fire Mine upgrade), but it’s viable with the standalone game as well. 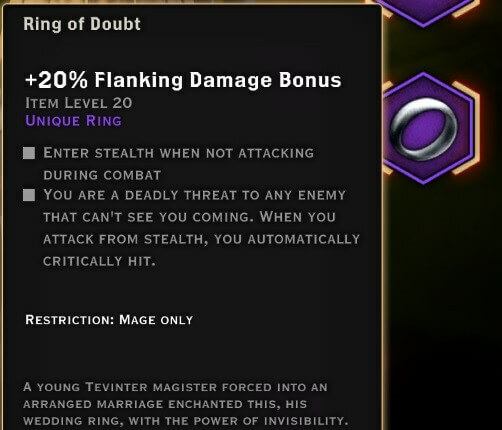 The basic idea behind the build is that Ring of Doubt gives you stealth when not attacking, and the first spell you use out of stealth will always crit. This works incredibly well with Inferno’s Flashpoint passive, which causes the next spell after a critical hit to have no cooldown. So what you do is get into combat to trigger the ring’s stealth effect, use Immolate to trigger Flashpoint, and wait until you stealth again. This allows you to cast Fire Mine twice, and also guarantees that it will crit both times, causing massive damage. 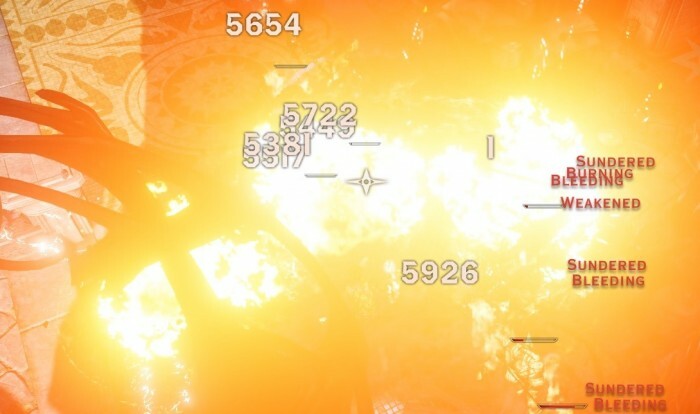 You can easily wipe out whole groups of enemies even on Nightmare difficulty by using this combo. Make sure to wait to restealth every time you cast a spell so that it crits. This build looks very powerful when paired with KE. With actives Barrier, Fire Mine, Chain Lightning, Immolate, Energy Barrage, Spirit Blade, Fade Cloak and Focus Ability, all the KE passives and Rejuvenating Barrier, you can Barrier, spam ranged abilities, get Spirit Blade charges high, Fade Cloak in, use double Fire Mine, spam Spirit Blade to use up charges and quickly regen your abilities using Clean Burn, use Fade Cloak, double Fire Mine, spam Spirit Blade, etc. In theory, this could have the highest DpS of any class in DA:I (aside from Artificer, obviously).